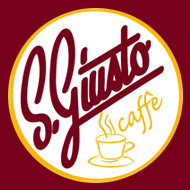 A harmonious blend, made up of arabica and robusta beans. Pleasantly flavoured, the mellow acidity is enriched by delicate touches of cream, ideal for those who prefer a vigorous taste. he care and the continuous pursuit for quality have marked the firm’s long road to achieving its primary goal: to create a sense-exalting blend, a moment of sheer and elegant pleasure that tickles the palate, fills the nostrils and ravishes the sight. An instant in which the mind lets go of all the worries and thoughts of the day and concentrates on that unique moment of pleasure. This is the mission and the vision statement of the firm whose presence on the market is characterized by a wide range of select products capable of satisfying any type of request and palate. 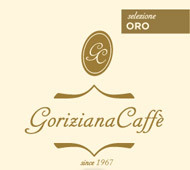 A high-quality blend characterized by an exclusive and balanced flavour, obtained by using a high quantity of accurately chosen arabica coffe. There is also a coffee in a vacuum pack of 0,250 kg. This blend is the result of a very accurate selection of the very best arabica coffees in the world. Its soft, sweet and slightly liqueur-ish taste, its chocolatey aroma, its delicate and balanced acidity and its overwhelming body satisfies even the most demanding palates. Arabica and Robusta qualità, characterized by a strong flavour and persistent density, ideal to start the day the right way. Top Gourmet quality - exclusively for connoisseurs. 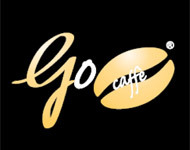 The Go Cafè Line stems from the pure pursuit of excellence. It is dedicated to those who are keen on savouring the most delicate of blends. A high-quality blend, made up of the best Arabica beans, it is characterized by a considerable aftertaste, a generous and persistent flavour and a ‘tiger-like’ look. It is conceived mainly for restaurants and eateries. 2011 © CoffeBase Ltd. All rights reserved. Web design by SP Vision Ltd.